I’m still processing my experiences at the Fellowship of Presbyterians Covenanting Conference in Orlando, so look for several more posts over the next few days. Today I’d like to answer a couple of the questions I was asked most frequently at church this morning. 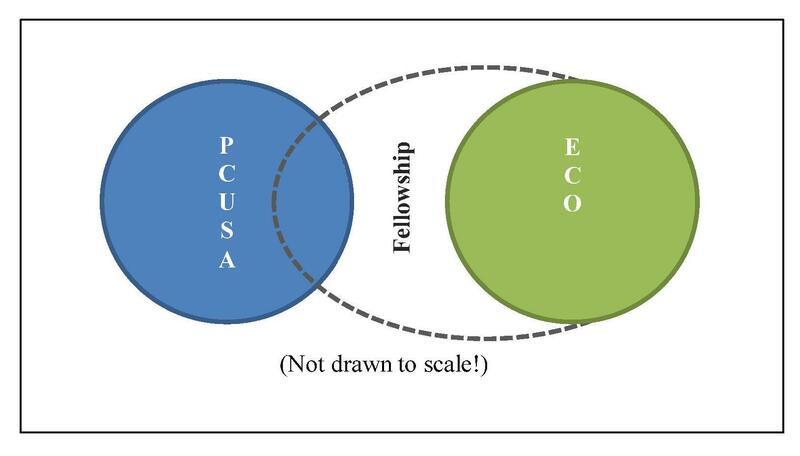 1) What is the relationship between ECO (The Evangelical Covenant Order of Presbyterians – a new denomination), the Fellowship of Presbyterians, and the Presbyterian Church (USA)? The Fellowship of Presbyterians is a group of pastors, elders, and churches who are in a covenantal relationship with one another for accountability and encouragement in ministry. The Fellowship is both evangelical and reformed. Membership is available to anyone in any denomination that share its core beliefs and purpose. ECO is a new denomination that was officially launched on January 19 in Orlando. It was born out of The Fellowship of Presbyterians, and has a symbiotic relationship with The Fellowship. In other words, all churches and individuals who are part of ECO are part of The Fellowship. But, The Fellowship also includes churches and individuals who are part of the PC(USA) but not a part of ECO. 2) What positions do ECO and The Fellowship take on abortion and the ordination of self-avowed practicing homosexuals? The Fellowship (and ECO) are very clear that they uphold the sanctity of life, and the sanctity of marriage between a man and a woman. They are also very clear that while these are very important issue, they are not the basis for these new ministries. They are Presbyterians working together to nurture a new way of doing church. They exist to make disciples of Jesus Christ. 3) What relationship does First Presbyterian Church have with either the Fellowship or ECO? At this time, our church has no formal relationship with either group, but we are trying to be as well informed as possible as we seek our way forward. On the other hand, I have indicated my personal commitment to The Fellowship of Presbyterians by signing The Fellowship Covenant, which you can read here: http://www.fellowship-pres.org/wp-content/uploads/Fellowship-Covenant.pdf. Here’s a great article that explains all of this in much more detail.